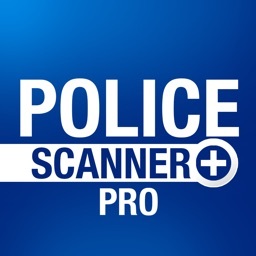 With 3,600 feeds from 19 countries, Action Scanner PRO - Police Fire and EMS offers great features. 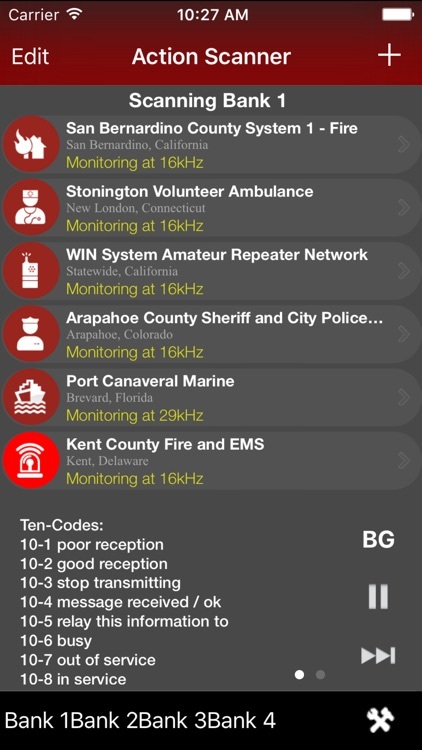 You can scan up to six stations at the same time, organize feeds to switch between them quickly, set up a sleep timer, and use it in the background. 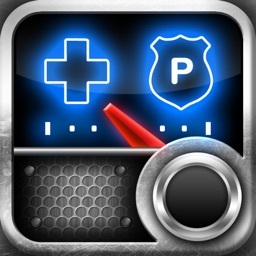 For police, fire, EMS, and even amateur radio repeaters, this app has it all. 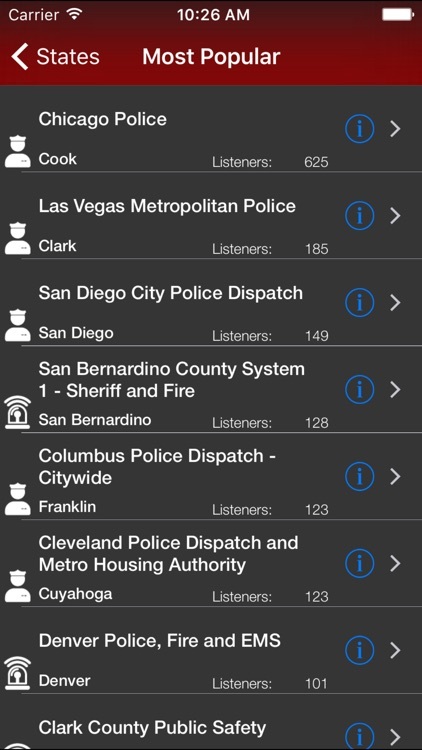 Listen to the feeds you really need with the easy-to-use Action Scanner PRO - Police Fire and EMS app. 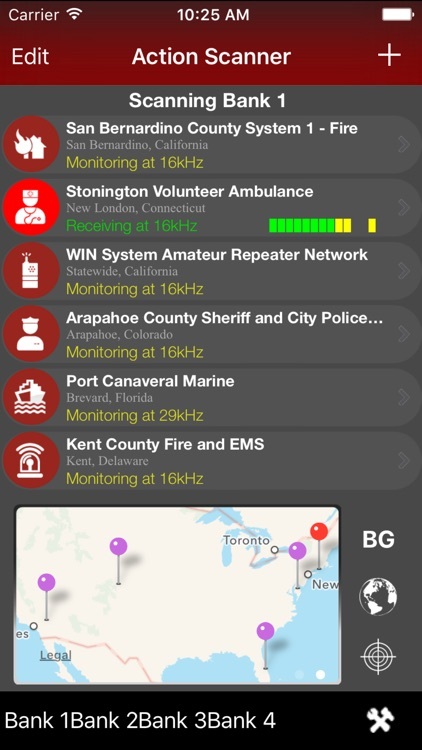 Keep up to date on all of the action with Police, Fire, Rescue, Ambulance, Amateur Radio, News and more all in the palm of your hand! Now you can hear it all right as it happens around you or from around the globe. Why spend hundreds of dollars on an old-fashoned police scanner that will only receive local frequencies, when Action Scanner can tune you in to over 3,600 feeds in 19 countries worldwide? With so many feeds to choose from, it would be crazy to expect you to pick just one. That's why we've designed Action Scanner PRO to automatically scan up to 6 feeds simultaneously and seek out the action in real time. No other IOS scanner application can offer that! 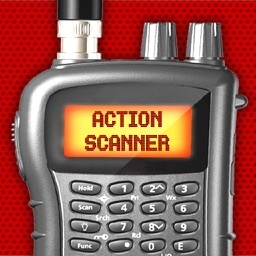 * Scan up to SIX stations at once - An Action Scanner Exclusive! 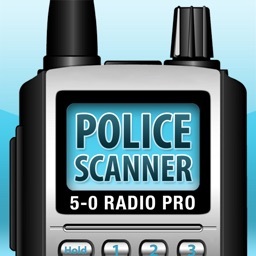 * Extensive coverage of Police, Fire, Emergency Services, Aircraft, Railroad, Amateur Radio Repeaters and more! Please note that like all of the scanner apps in the App Store our feeds are provided over the Internet by individual volunteers, and we can't add or guarantee the availability of feeds for any particular area. We are confident that you will find plenty of information and entertainment regardless. If your locality isn't listed, consider becoming a feed provider - information is available at www.radioreference.com. 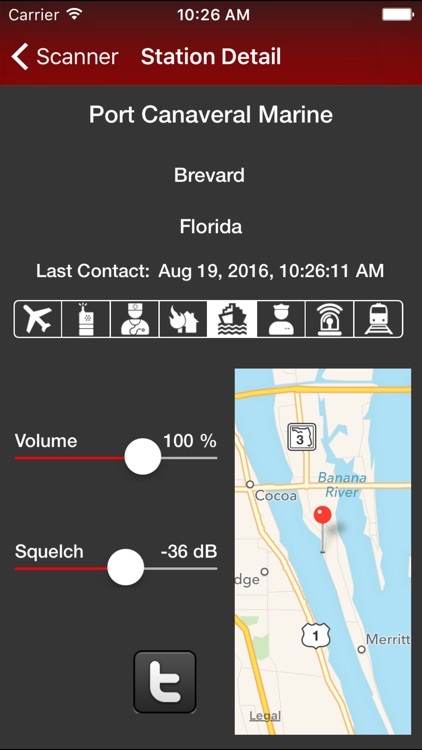 This application and those like it in the App Store do not allow you to receive police radio frequencies directly on your device. 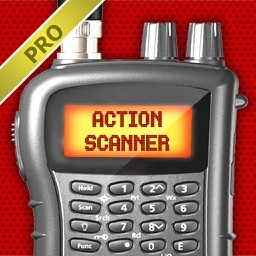 Action Scanner is the official iPhone app of Edmonton Fire Radio.